To the surprise of many, news emerged that online gambling is well on its way to legality in Pennsylvania. A sweeping new bill was passed in both the Senate and State House. If ushered in, new gambling legislation will be put in place in the state. The last step before this legislation becomes law now will be final approval from Tom Wolf, the Governor. If this legislation passes Pennsylvania will become only the fourth state in the United States to legalise gambling. It joins Delaware, New Jersey and Nevada in having legal online gambling services. In fact these three states have already signed a range of agreements between themselves where they offer players access to special online Poker networks. These networks allow all the players in these three states to join massive online communities that boost revenues for all stakeholders involved. Pennsylvania would almost certainly join up with these states to become a fourth member in their gambling collective. The new bill is one of the most comprehensive pieces of gaming legislation ever passed in the house. It covers a range of aspects from the handling of the state’s fantasy football sites, lottery sales, online slots, Poker and other table games as well as the contentious issue of truck stop and bar room video terminals. One of the main driving forces behind this about face to online gambling could be the city’s $2.2 billion budget shortfall. The state is already raking in $1,4 billion from land based tax revenue and this initial legalisation push is projected to earn the state $200 million in licensing fees alone. Meanwhile the Kansas Lottery has signed a deal with Scientific Games to have them provide the software to run the Kansas State Lottery online. Terry Presta from the Kansas Lottery service stated that Scientific Games provides the best software for their players. They feel Scientific Games provides security and reliability along with an intuitive user interface to provide an easily accessible experience for their key demographics. The Kansas State Lottery has raised over a trillion dollars for the state since its inception in 1987. 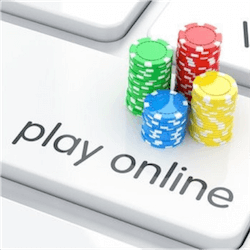 Both parties are hoping that its initial steps into online gaming will provide a great opportunity for expansion and marketing. Scientific Games certainly has the distribution channels and market share to provide the Kansas Lottery with excellent services. These two recent developments further show the hunger for legal online gambling in the US. Slowly more and more states are realising that they are in fact hurting their economies by suppressing what the people want.